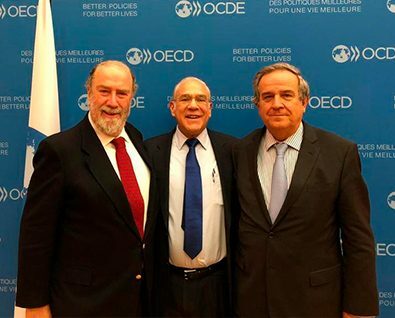 Last December 3 and 4, FIAP participated in the meetings of the “OECD’s Working Party on Private Pensions.” The meeting was attended by the Chilean Minister of Labor and Social security, Nicolás Monckeberg, and the Chairman of the Chilean Association of AFPs, Andrés Santa Cruz. The meeting discussed the pension reform proposed by the Chilean government. It is worth mentioning that, on the morning of December 3, the Secretary-General of the OECD, Angel Gurria, launched the OECD Pensions Outlook, 2018.